San Francisco is one of the world’s greatest cities and can be found in the state of California, USA. As well as the Golden Gate Bridge San Francisco has some awesome places to visit and things to do. With a great sporting history in their American Football the San Francisco 49ers and having had arguably the best Quarterback in history with Joe Montana there is no doubt that San Francisco is not a place to be missed. Many people, especially the many of the locals miss the truly beautiful Paddle Boarding spots in and around the bay area of the city. Below are some of our favorite places and where we would recommend you go and visit whether this is your first or hundredth time on a SUP! 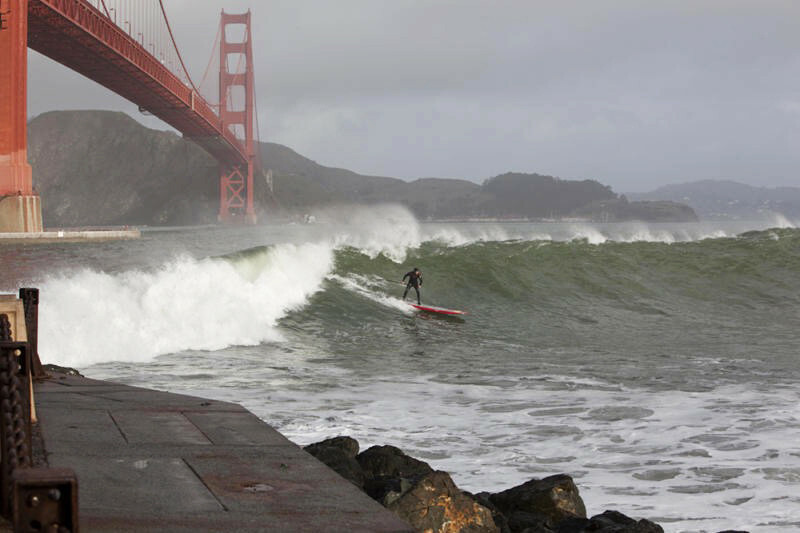 With calm waters and an unforgettable view of the San Francisco skyline Crown Beach is a must see for any SUP enthusiasts and tourists alike. Parking sometimes costs $5 but that is only when the Kiosk is manned which is rarely. However, we must warn you that the water is very shallow and not to go too far out or the current becomes too strong and you might end up being in a bit of bother. Nevertheless, this spot is one of our favorites and with the 2.5-mile beach and local California Boardsports rent shop you can’t go wrong. We hope this article has helped you find an amazing view near you! If not then don’t lose hope as there are plenty of SUP spots we didn’t cover above. Although our favorite and what we believe to be the best all round Paddle Boarding spots are above so if you have the time we highly recommend choosing one of those destinations!